This morning (2/20/16) Olympic National Park announced the opening of an Elwha Valley pedestrian access route to bypass the washout on Olympic Hot Springs Road. The press release included the map below and I decided to take a look at the progress myself. I haven't been to the Elwha Valley since the washout. Thus, basing my speculations using the newly released map, I was expecting to be able to park close to the designated "trailhead" marker the map displayed and have quick access into the valley. My assumption was incorrect. 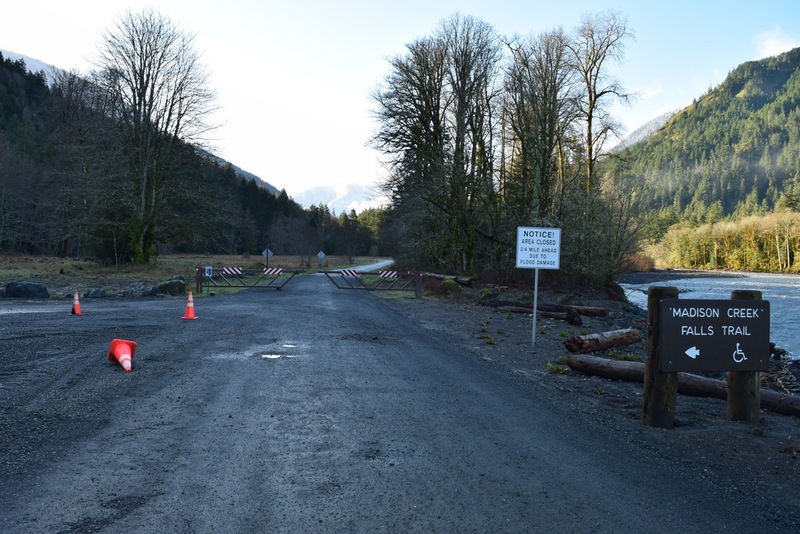 I arrived this morning to find that the road is still closed at the Madison Falls Trail parking lot, before the Olympic National Park's entrance station. The good news: Madison Falls is still absolutely beautiful. The bad news: there is quite a walk to reach the new temporary trail bypass. From the Madison Falls parking lot, it is just over 0.6 miles to reach the new trailhead and 1 mile to reach the actual washout via the road. So do not expect to simply jump out of your car and easily access the Elwha Valley icons. 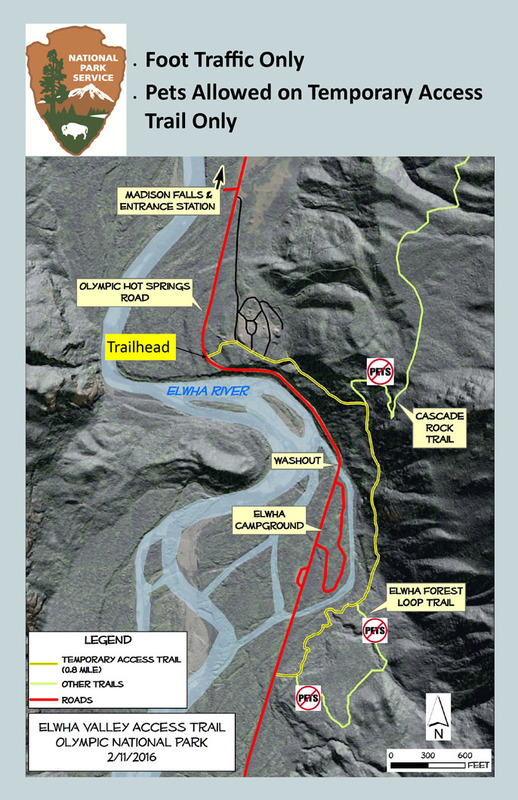 Rather, add a 1 mile roundtrip to your hike to reach the new trailhead from the Madison Falls parking lot and understand that the Cascade Rock Trail and Elwha Forest Loop trail are the only trails readily accessible by foot - unless you are a serious fan of a long walk along the Olympic Hot Spring Road. 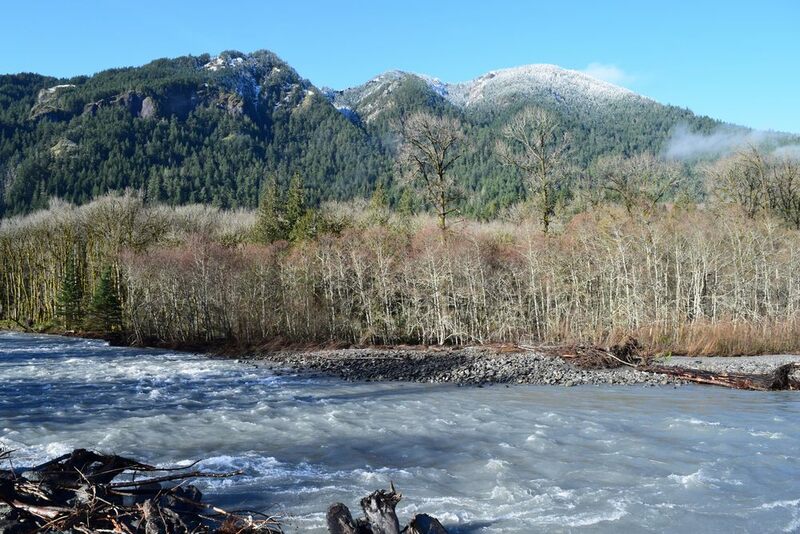 The Elwha Valley is beautiful and is a must-do when the road is completely open. 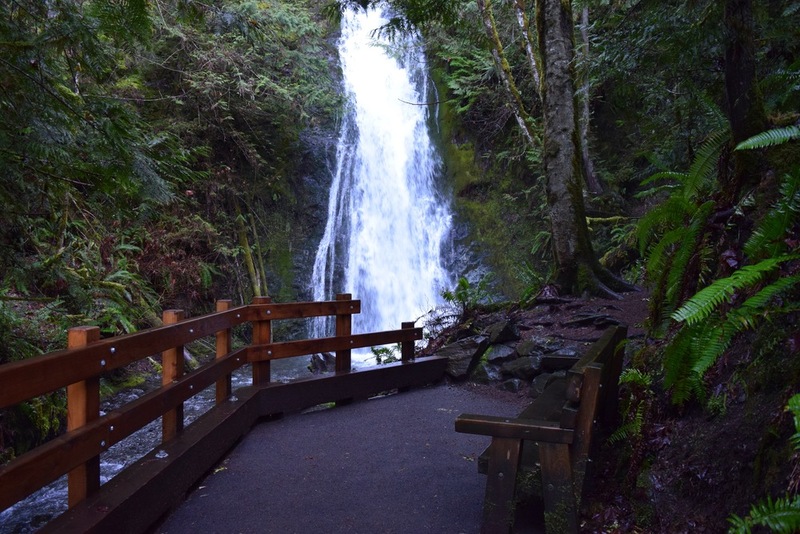 However, given the fact that the road is still closed at the Madison Falls parking lot, I would recommend traveling to other popular nearby Olympic Peninsula destinations such as Hurricane Ridge, Lake Crescent, the Sol Duc, or the Pacific Coast.